It’s that time of year again. 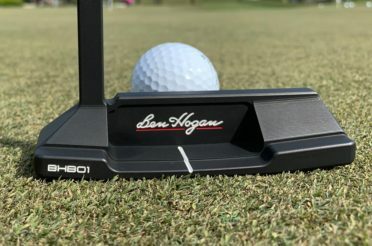 Our Anual Holiday Gift Guide for golfers is here! Last year was our first attempt at a Holiday Gift Guide, and it was a success. We’ve had quite a few companies reach out to us this year. We’re eager to showcase them for you all in this post. 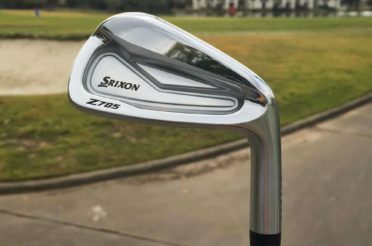 A few you’ll recognize from articles earlier this year, and some are not only new to us but the industry in whole. 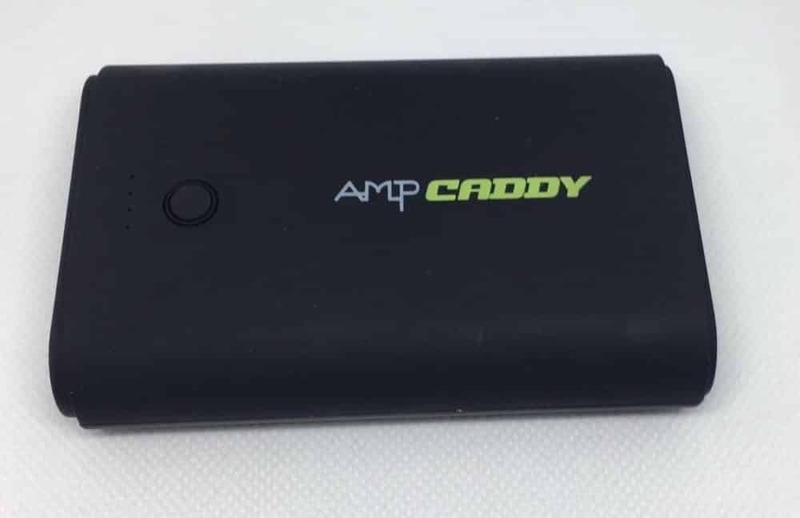 We love to bring you reviews on these items but, we also like to bring awareness to products and companies that we haven’t written about at well. 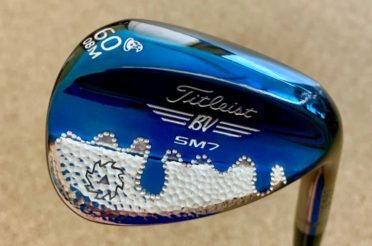 We hope you enjoy this list and you’re able to find a special gift for that special golfer in your life (even if it’s for you). 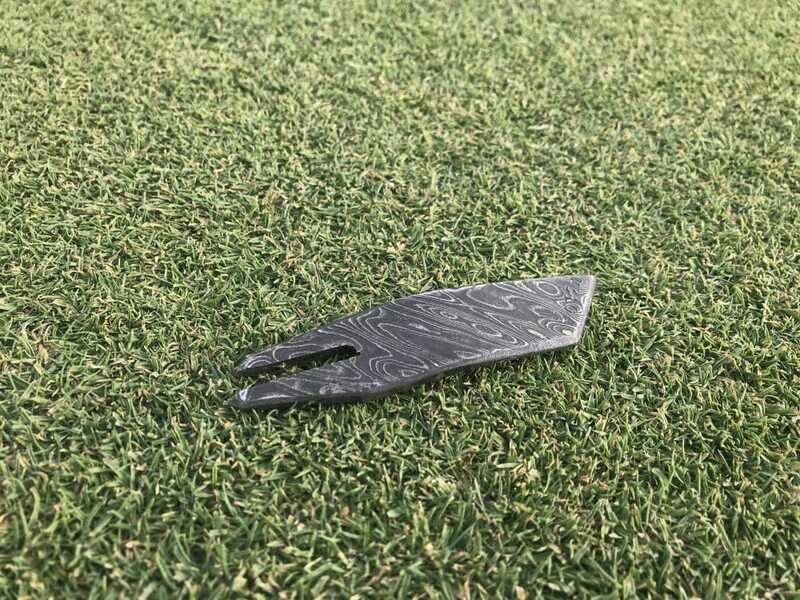 Made from brass and milled by the talented CNC Creations this is a great gift for the golfer who loves the higher end collectibles. 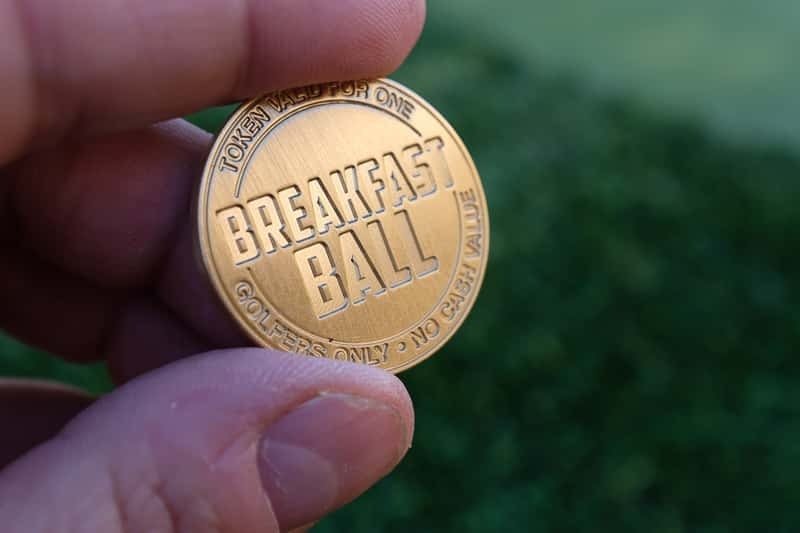 The token marker is the first marker release from us here at the Breakfast Ball, and we think it would be a welcomed addition to any golfers collection or their golf bag. The detailing in the markers is utterly fantastic, and I’m not just saying that because we offer them. 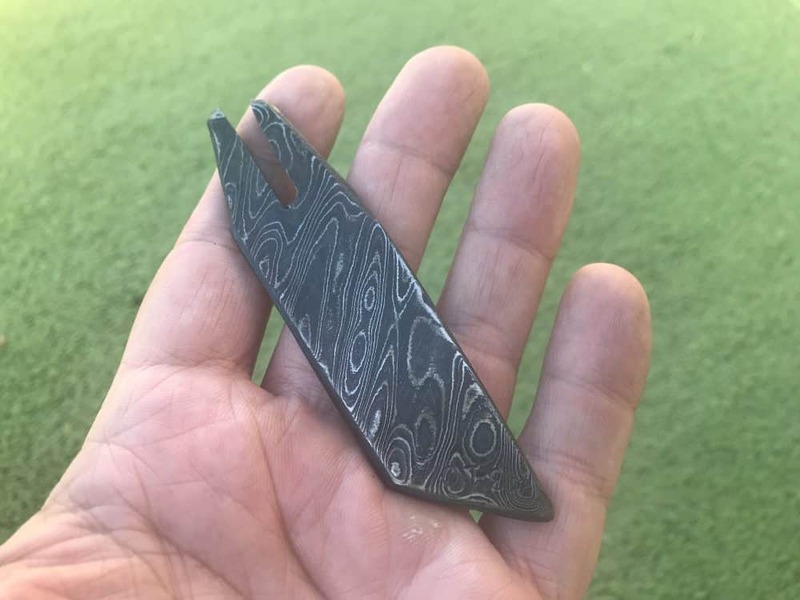 The work Josh at CNC Creations creates is on an entirely new level, and it’s the reason with CNC Creations for this project. 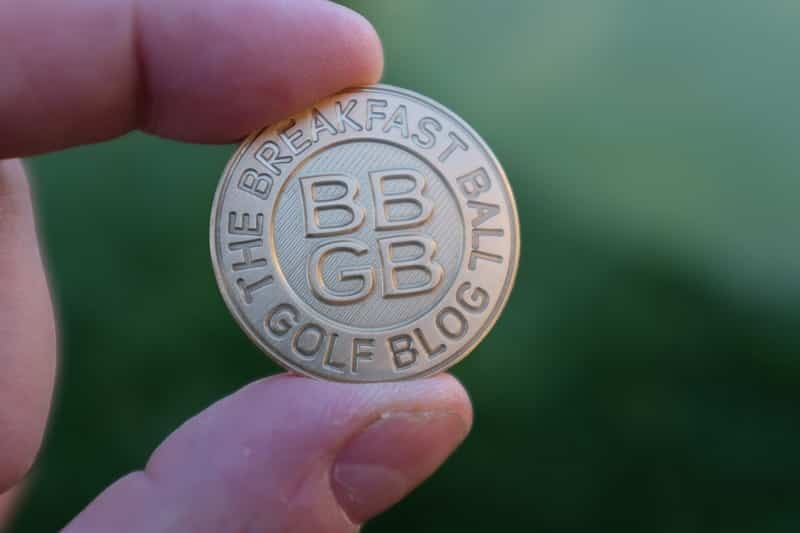 You can purchase the BBGB Token Ball Marker by clicking HERE. We plan on having further releases like this in the future so stay tuned for that. 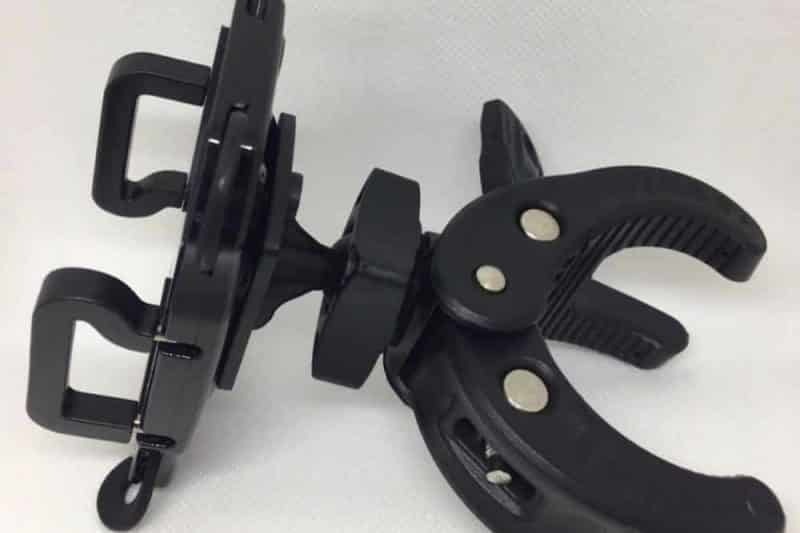 TecTecTec has been around for a while now, and they are starting to make a name for themselves in this segment of the industry. 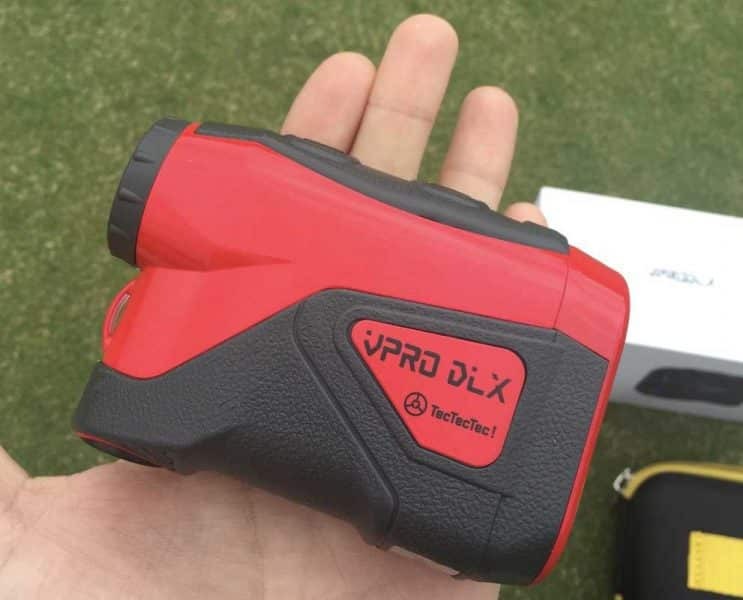 They are doing so by offering a quality rangefinder at a price point that will not break your bank account. With several options to choose from, there’s a rangefinder to fits most everyone’s needs. 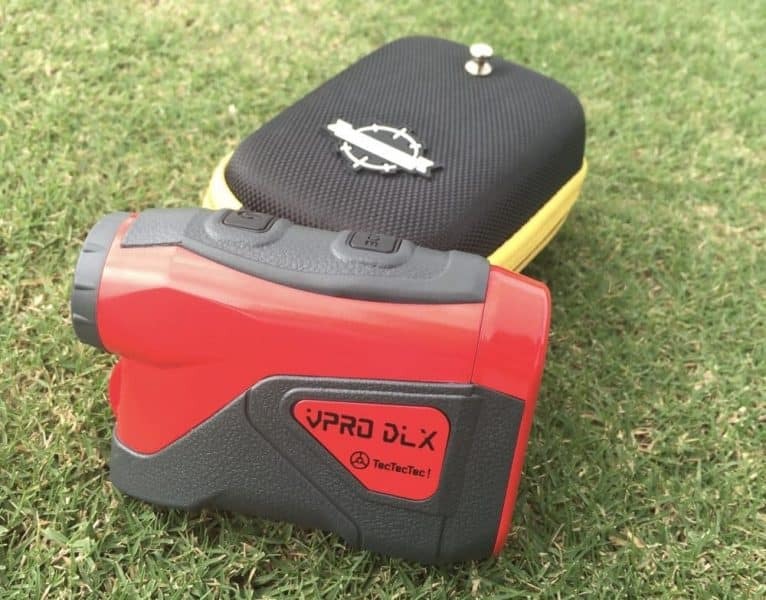 Earlier this year JT reviewed the VPRO DLX and was impressed with the overall function considering it comes in at a much lower cost than the higher priced competitors. The VPRO DLX retails for $179. But we also want to share with you the TecTecTec VPRO 500. 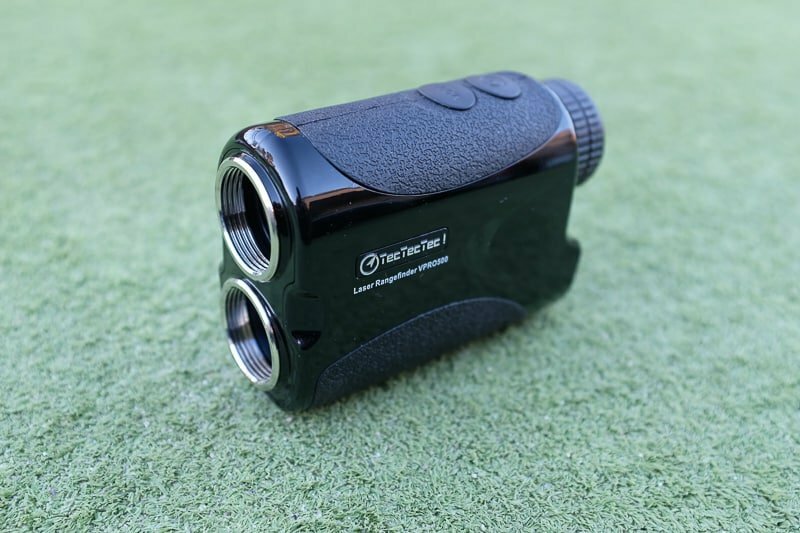 The TecTecTec line is ideal for the player looking to get into a rangefinder but who don’t want to drop close to $400 to get one. 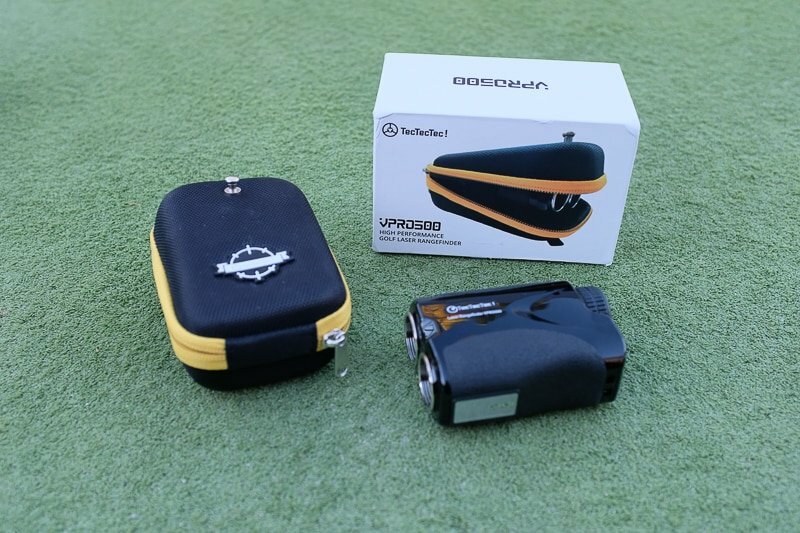 At $149 the VPRO500 is an excellent option and will perform great. Under Armour is a name we all have come to love and enjoy. 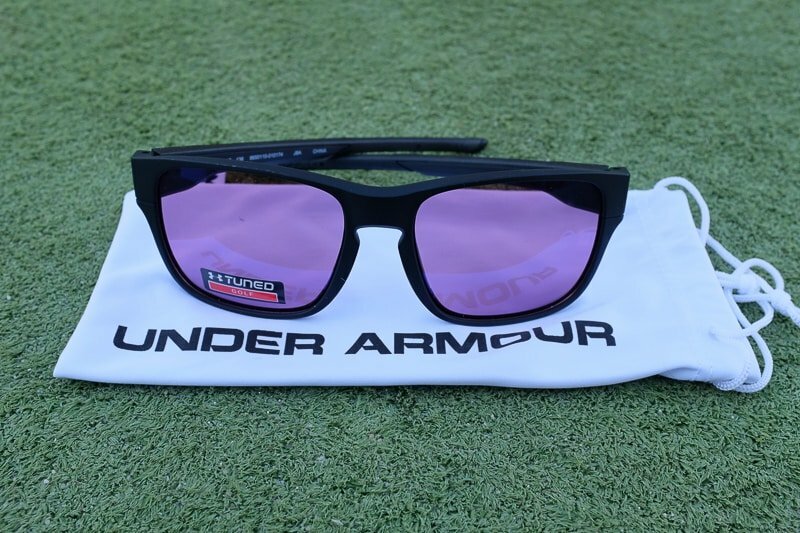 They make some incredible apparel and shoe products and recently have dived into the golf-themed sunglasses arena. 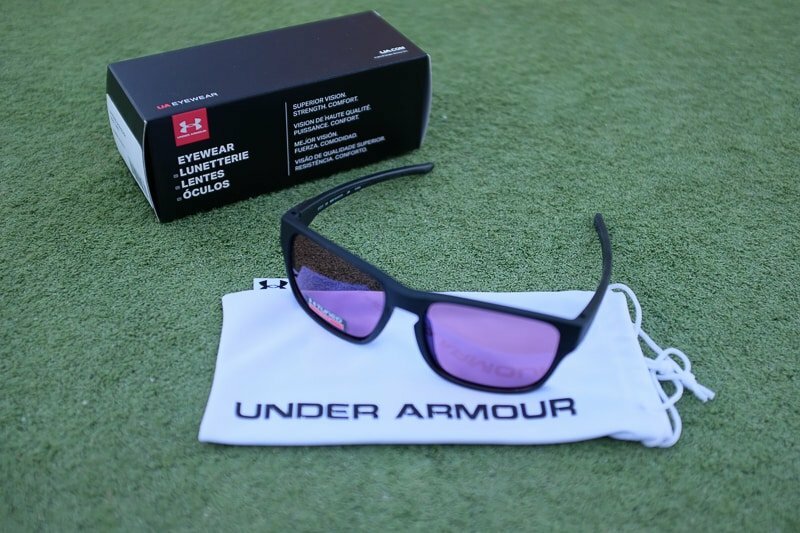 In August we reviewed the Octane version of the Under Armour sunglasses with the Golf Tuned lenses. UA was kind enough to send us another version to showcase for this holiday guide. 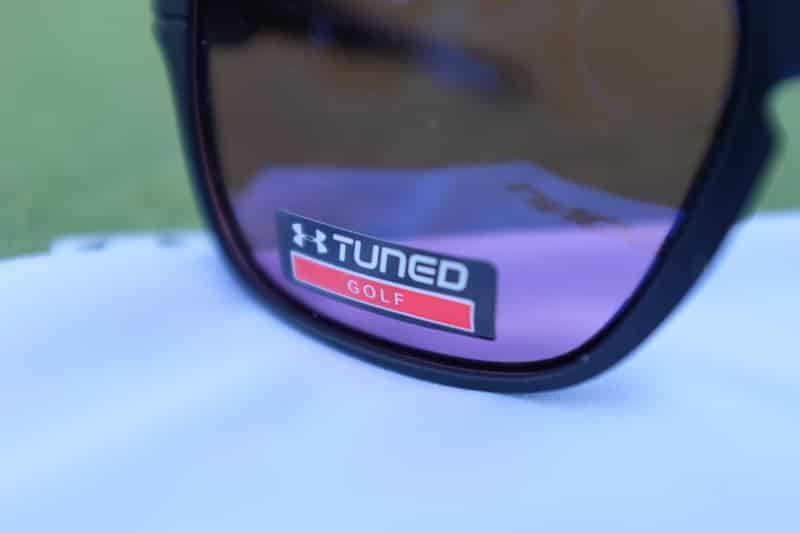 The Assist Sunglasses feature the same golf tuned lenses but are more of a classic look than the sporty Octane. 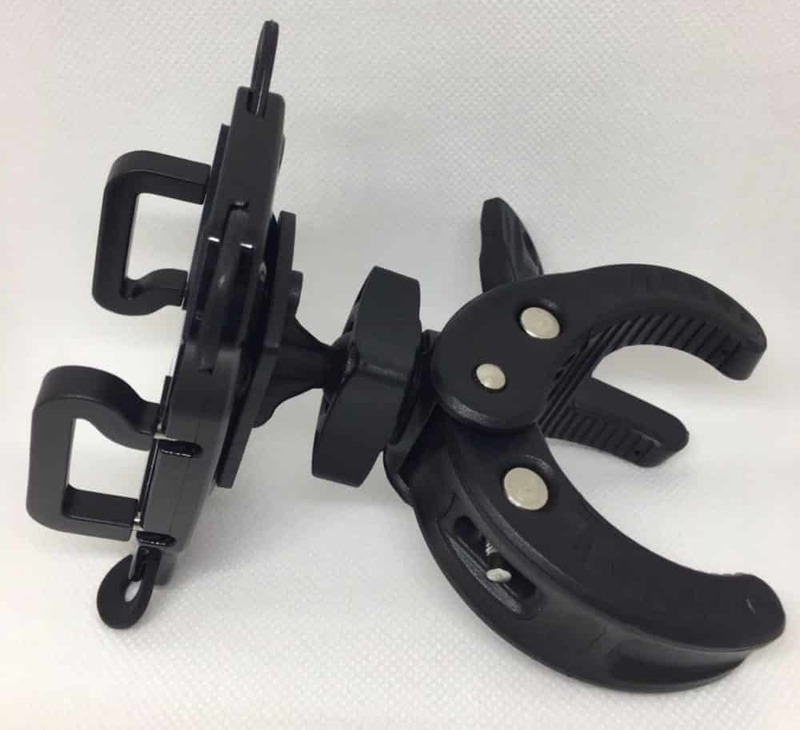 Selling for $99 the Assist variant is an affordable option for someone looking to get into a golf lens without spending a ton of money. 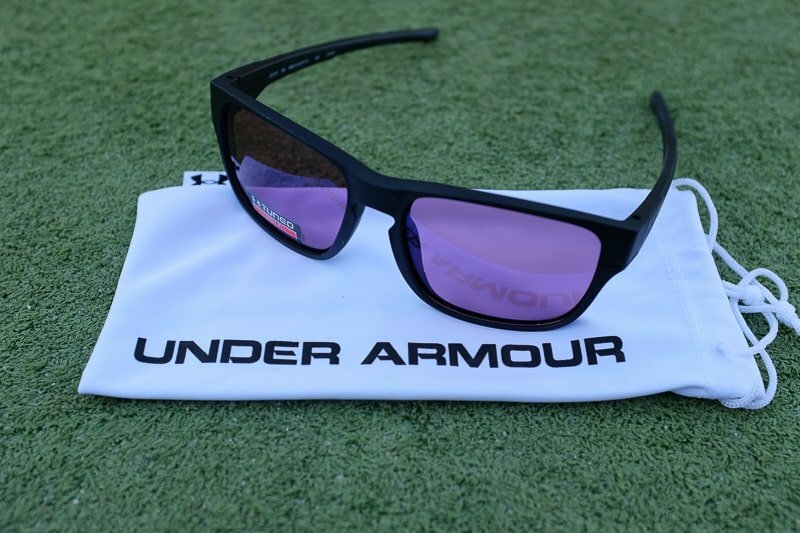 You can visit the Under Armour Website and see all the variety of lenses they offer. 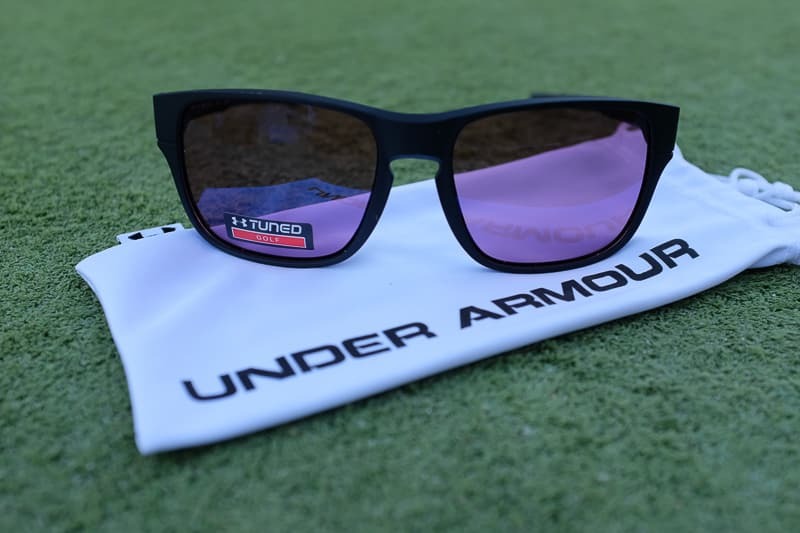 The UA Sunglasses range from $99-$124. 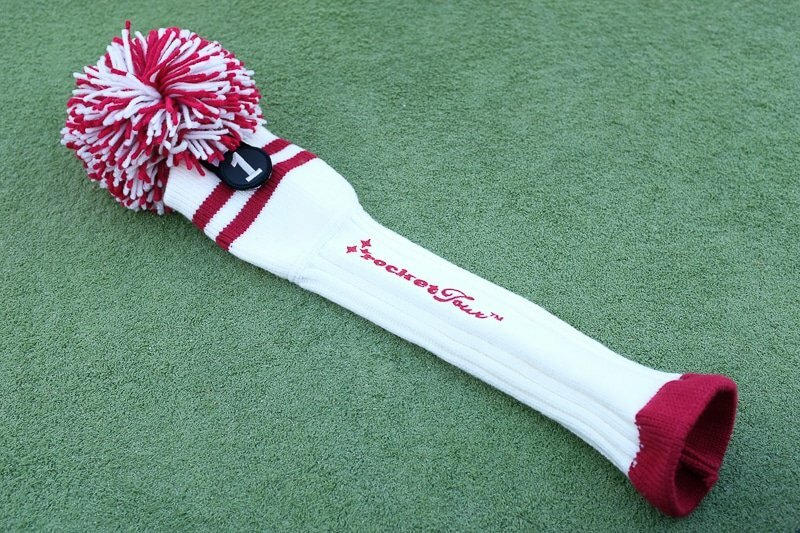 If you’ve read this blog for any amount of time, you know we’re geeks about headcovers. With a plethora of options out there to choose from, we’re happy to share a new company we recently found. Allow me to elaborate, they’ve been around since 2004, so they’re far from new. Just new to us. 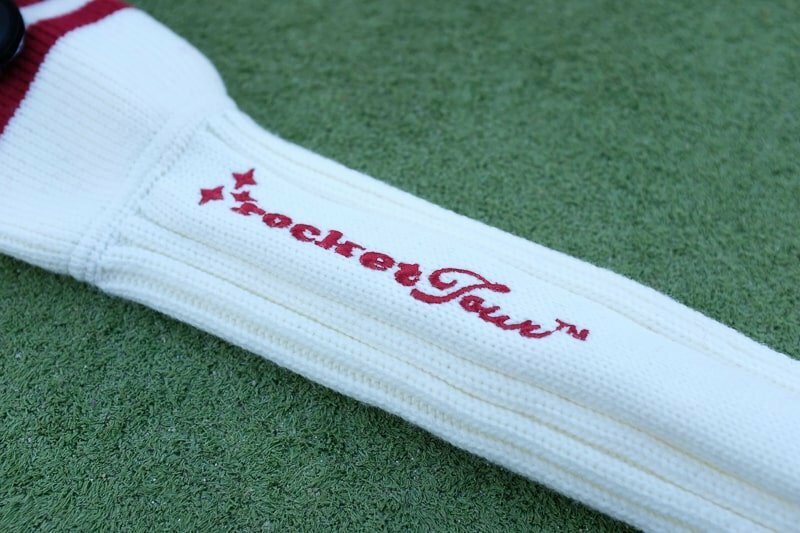 Made with high-quality materials, the Rocket Tour Headcovers offer that old school look and style. Built to last and with a variety of styling options, a Rocket Tour Headcover will bring that vintage look to your bag without breaking the bank. 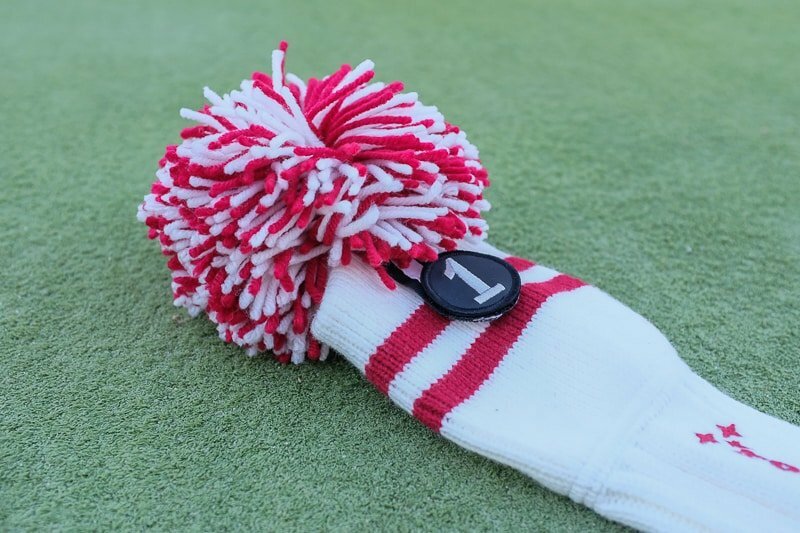 Ranging from $30-$43 dollars this is an excellent choice for a unique headcover. 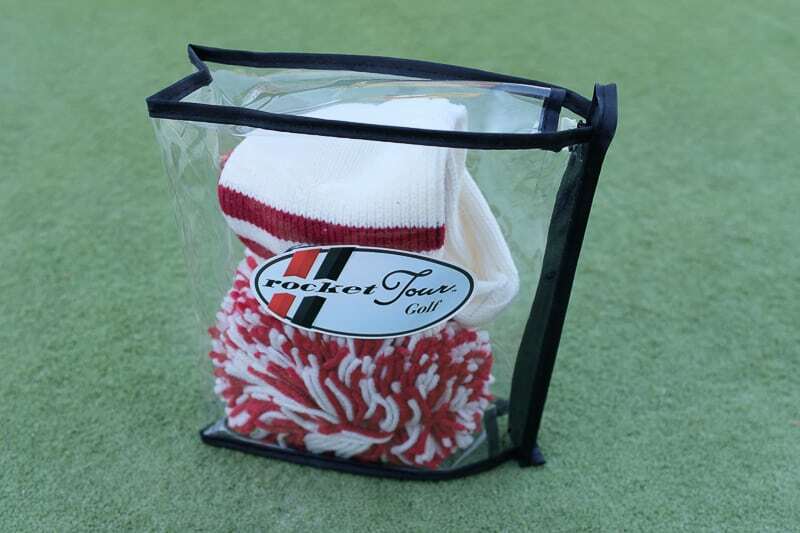 Either for yourself or a gift, you can’t go wrong in choosing a Rocket Tour Headcover this holiday season. 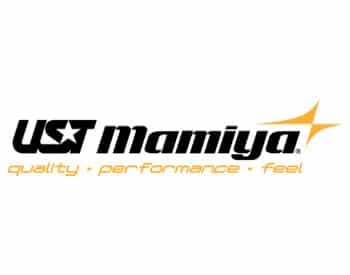 Visit the link above to check out their website. HO HO HO and HA HA HA coming from the holiday lookbook of Travis Mathews. 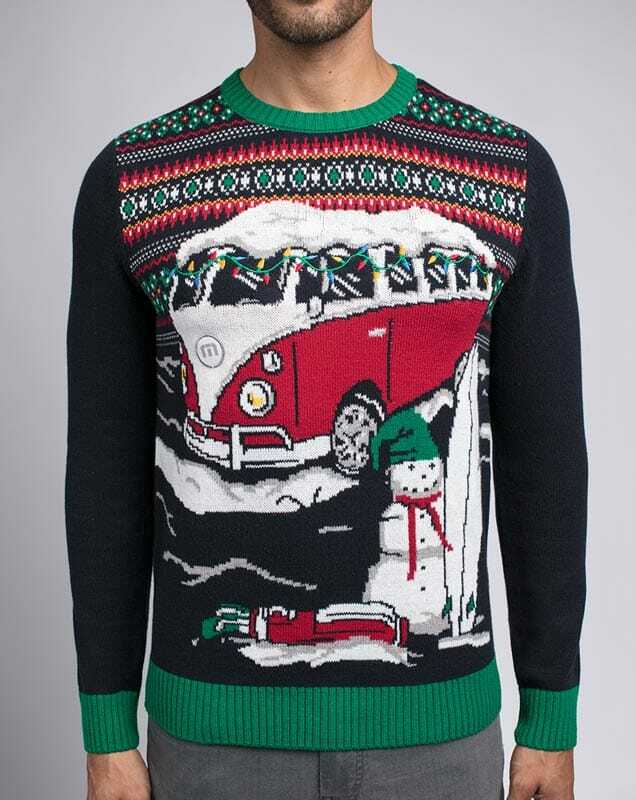 Getting you prepped for those company Christmas parties or maybe your photo shoot with Santa, holiday-themed apparel is always fun this time of year. Like the holiday wrapping paper it was inspired by, she’ll be tearing into you when you look suave and ready for the holidays in this fun all-over printed fashions. 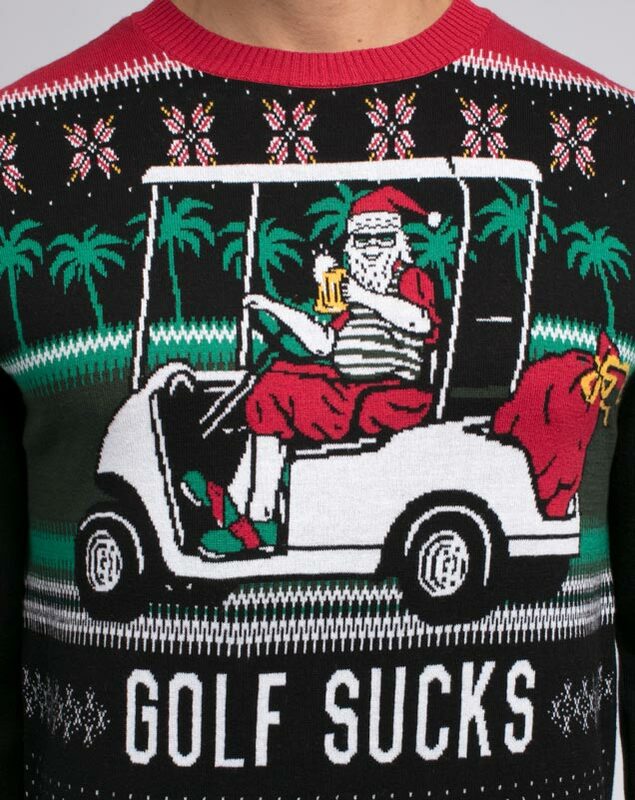 Santa’s only busy one day of the year, so we’re guessing you can find him on the links a few times during the year. 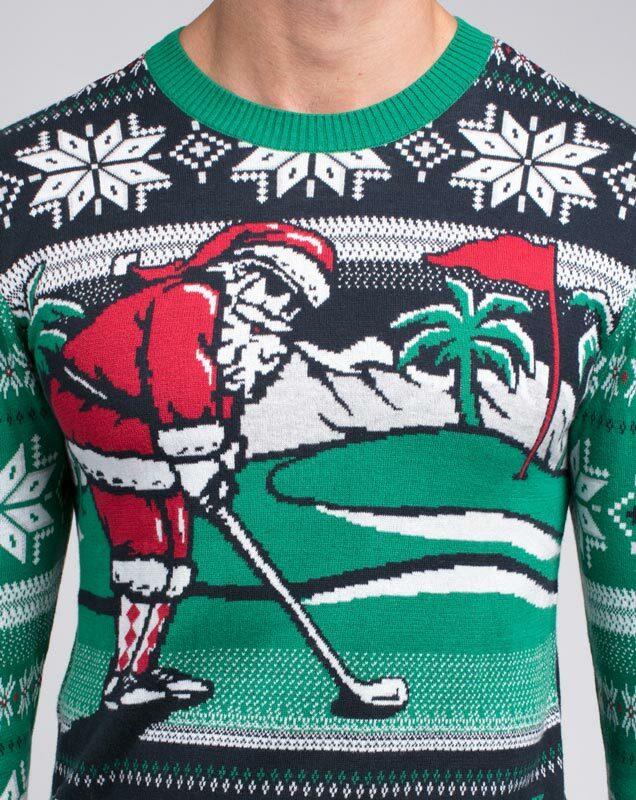 Let everyone know how much you love golf (and Travis Mathews) when you show up in this holiday sweater. 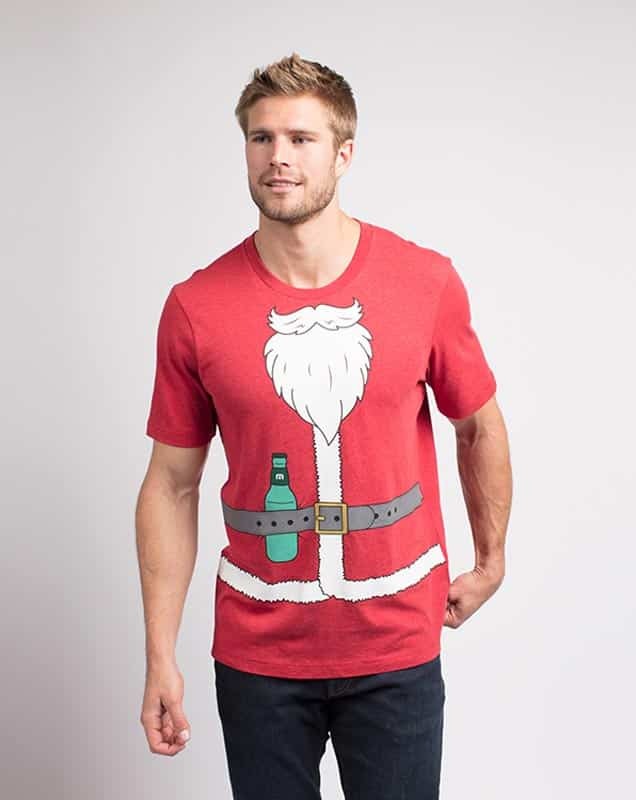 St. Nick is one popular guy come the holidays, so with this t-shirt, maybe you can pull off his look with this fun printed t-shirt, perfect for your next holiday party. 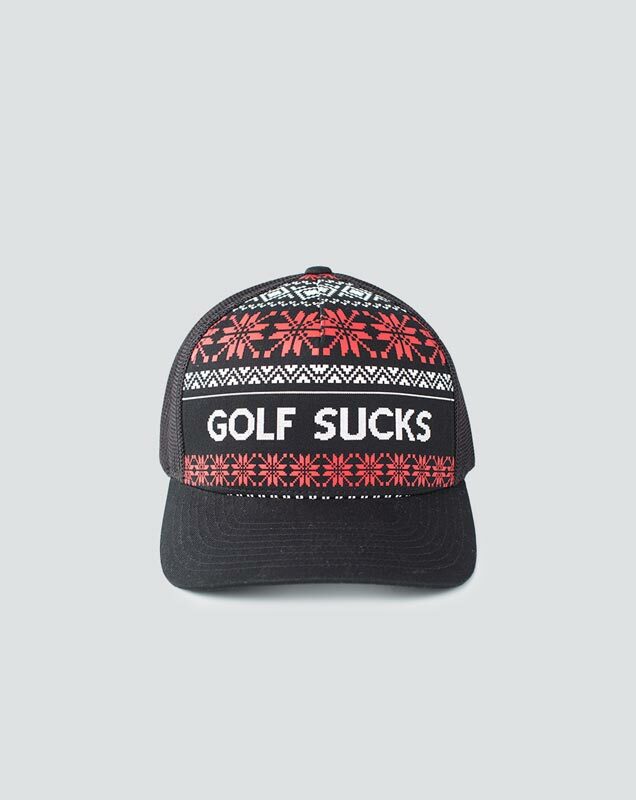 Take the world-famous MAPES design by Travis Mathews, add a dash of holiday spirit (and maybe a splash of spiked egg nog) and you have a hat fit for the links during December! 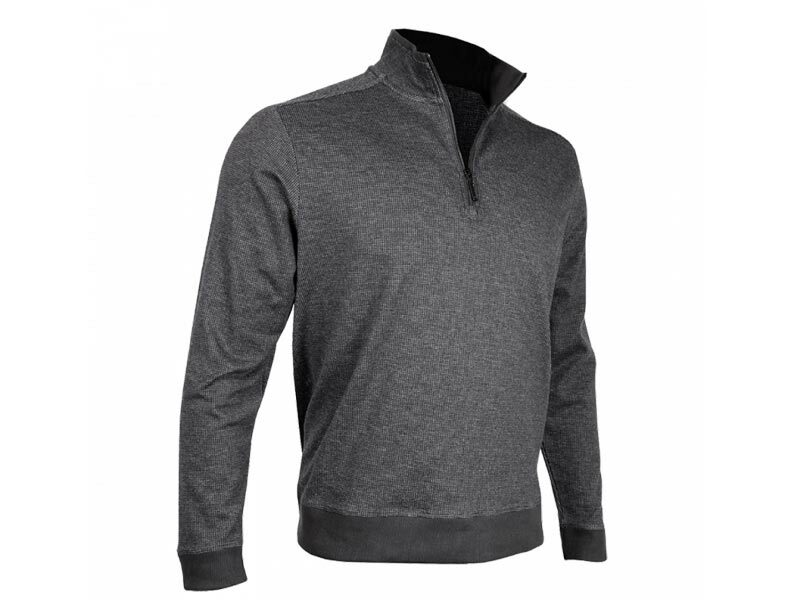 Enjoy ideal fit and excellent materials from TM regardless of the ugly sweater party feels. We love that such a powerful brand has some fun this time of year. 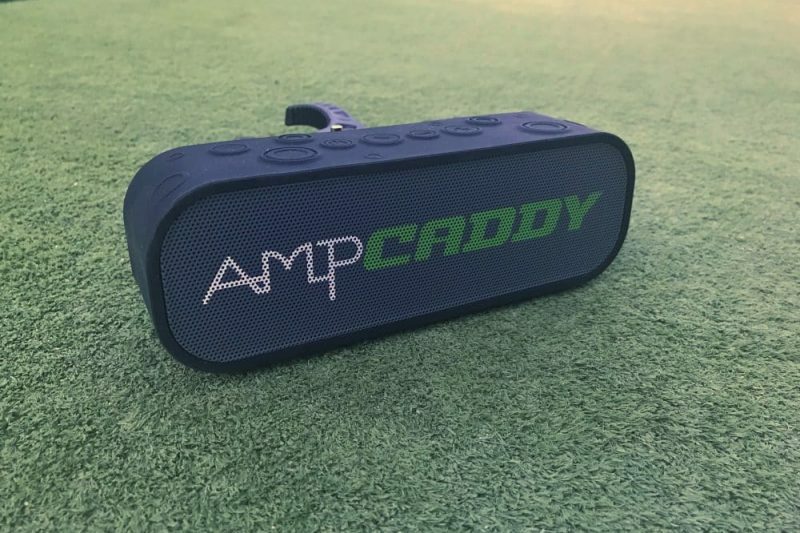 For a few years now AmpCaddy has been delivering sounds to the course through their wildly popular Bluetooth speaker. 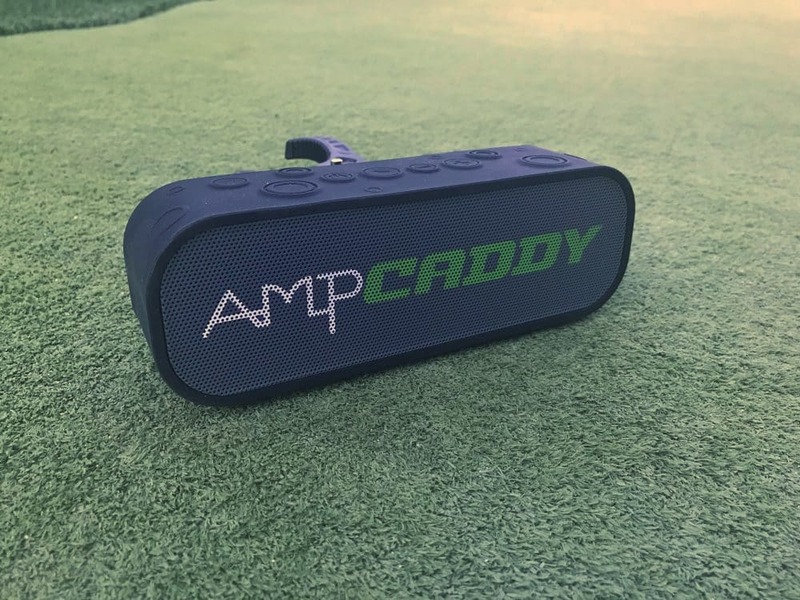 JT and I both have been addicted to the speaker since we reviewed the AmpCaddy back in January. 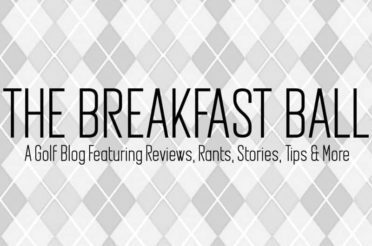 I encourage you to go back and read the review and then head back here to finish the gift guide. 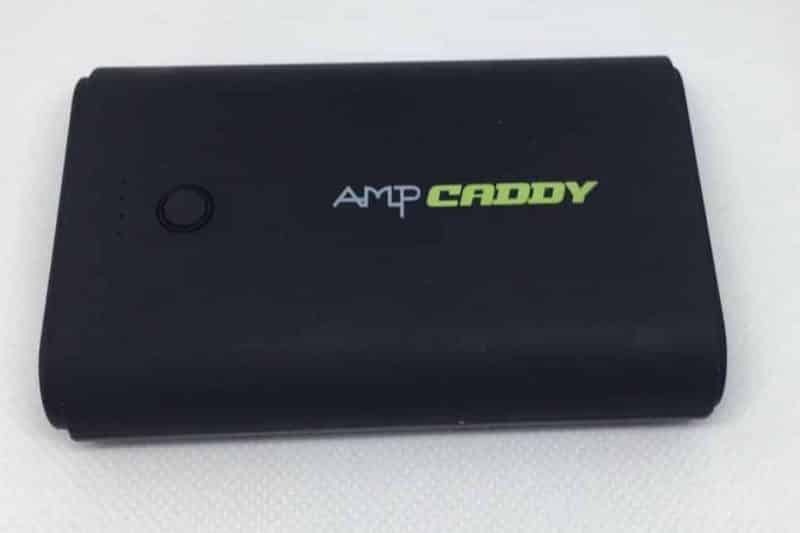 There is some exciting news coming from the AmpCaddy Headquarters. 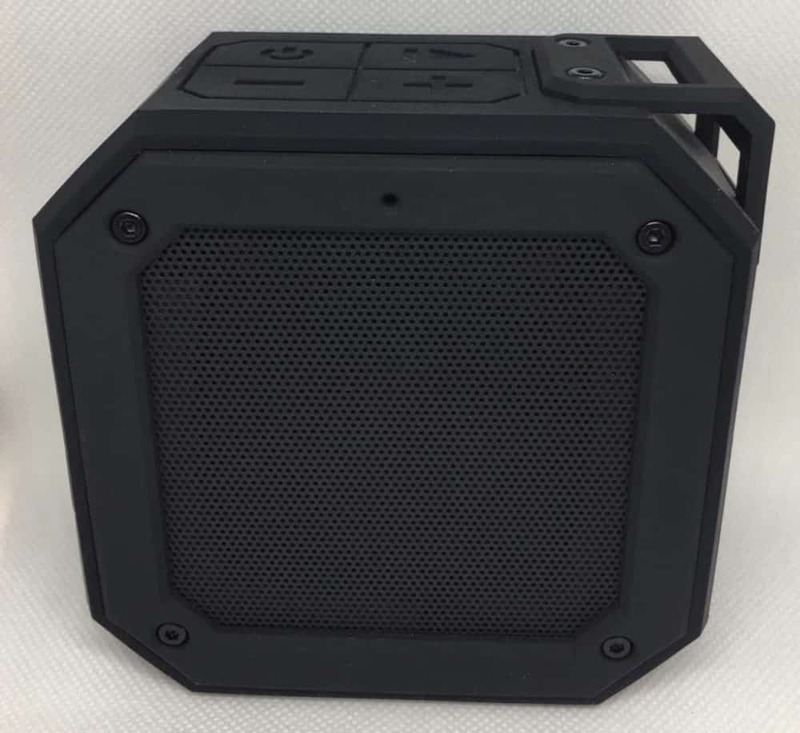 Because of the success of the Bluetooth speaker, they have been able to head back to the design room and have created a new line of products that will be debuting soon. We got a sneak peek of the new items and wanted to share with you what’s on the horizon. 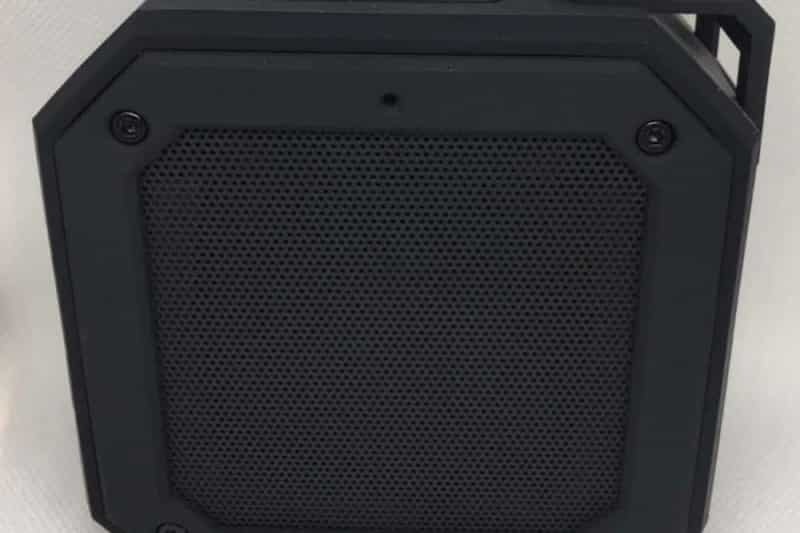 While they are not available for sale as of yet, the 2nd Generation speaker is and right now it is at an excellent price! 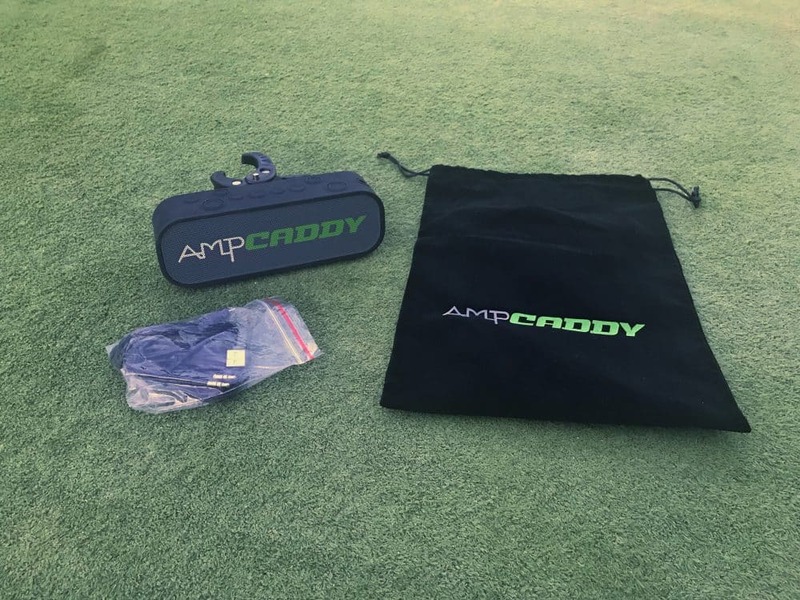 Visit the AmpCaddy website and pick up this great gift idea. What’s not to love about an apparel company that manufactures their clothing line here in the USA? 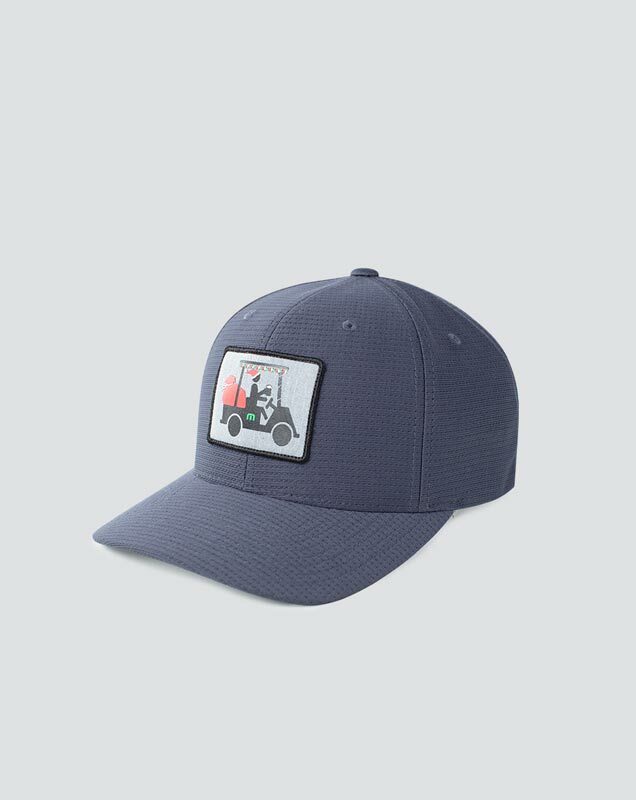 State Apparel has a different ideology in that the clothes they offer are intended to be abused by the everyday happenings on the golf course. 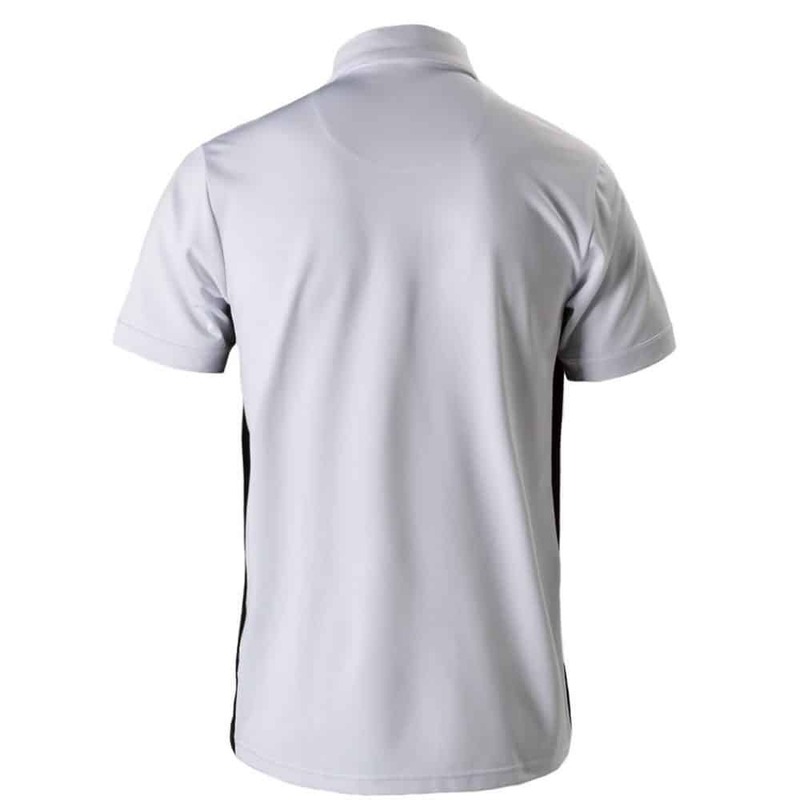 It’s patent pending and functional golf wear. 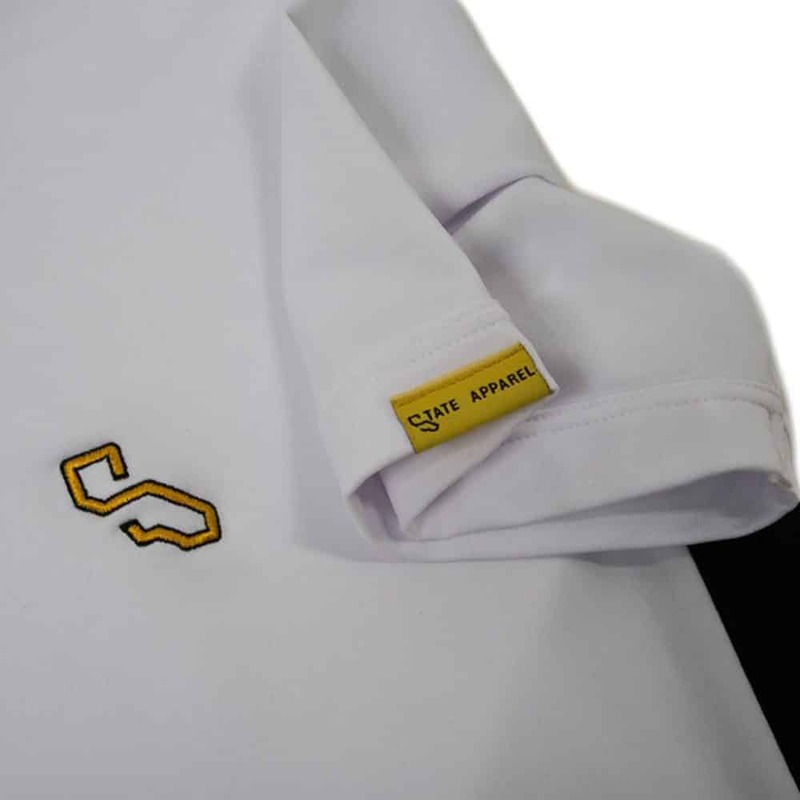 We incorporate intuitive wiping layers into our golf pants and shirts. 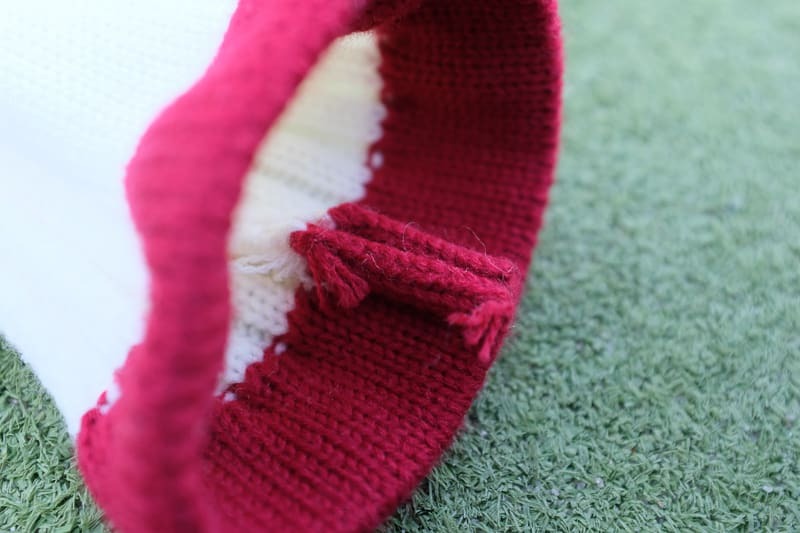 These are special towel-like fabrics for cleaning a golfer’s hands, clubs & golf balls. 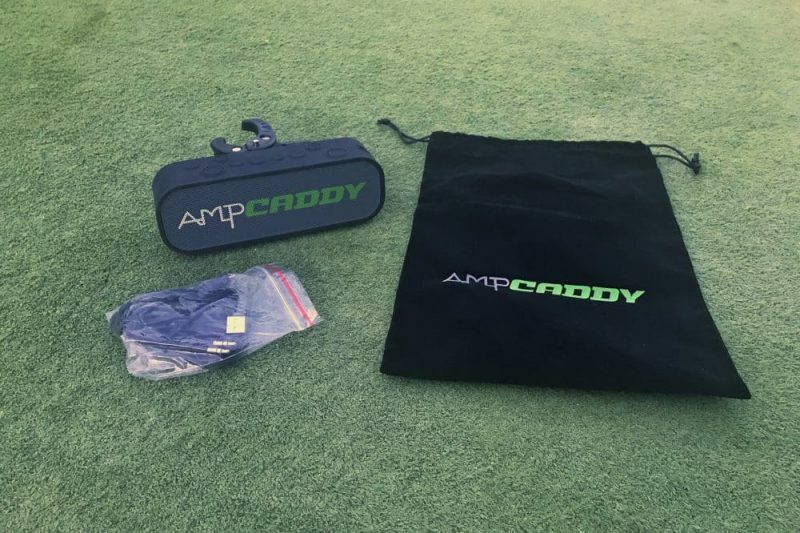 Our clothing provides an on-the-spot & efficient solution to golf’s persistent problem of water and dirt, so golfers no longer need to step away from a shot to grab a towel. I’ve known about State Apparel since I first saw them inhabit a small booth back at the 2014 PGA Merchandise show. Since then they have continued to evolve as a brand, and this polo we received is the first I’ve had the pleasure to wear. 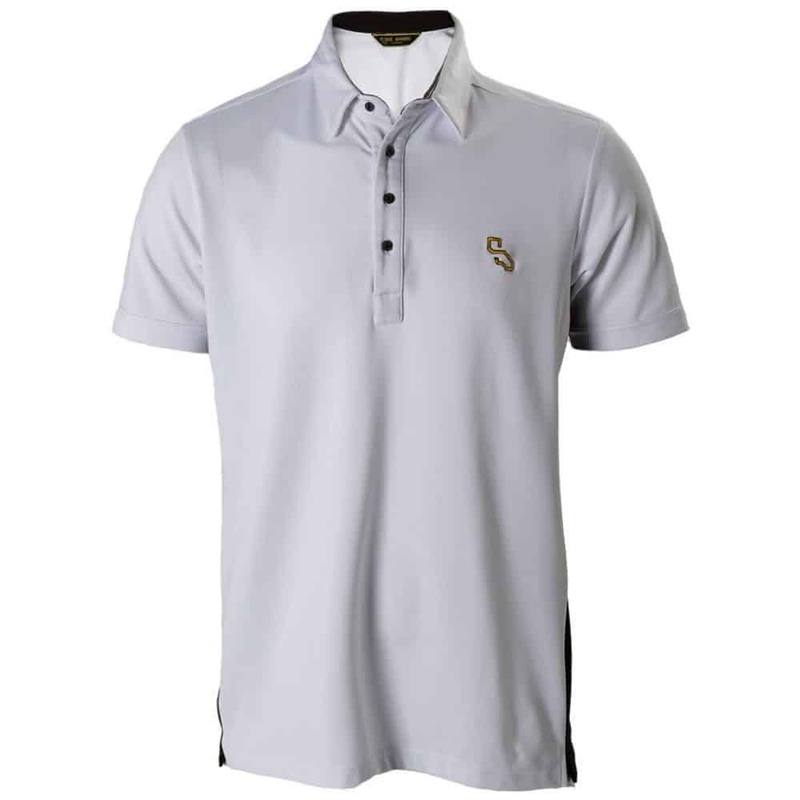 The Competition Polo is very well designed and has an excellent fit, even for this short chubby golfer. 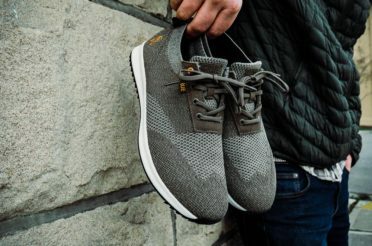 After seeing the quality and comfort, and let’s not forget about the function, I’m certainly going to be looking at adding a few of their other pieces to my wardrobe as well. 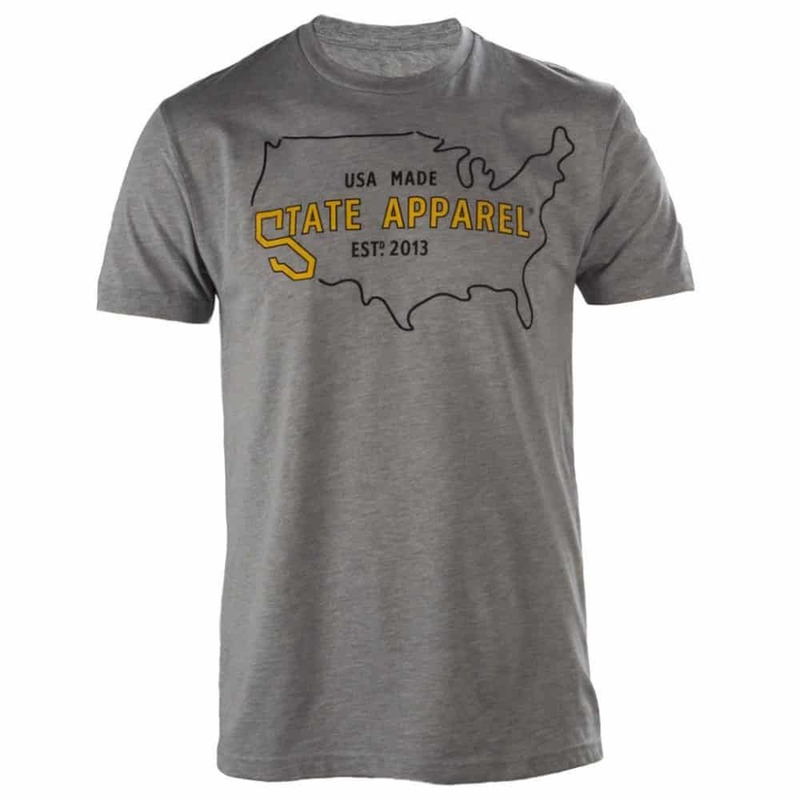 Check out the State Apparel website and know you’ll be purchasing some high quality made in USA golf gear at an incredibly affordable price. Just in time for the cooler temps comes some of the hottest loungewear on the planet. 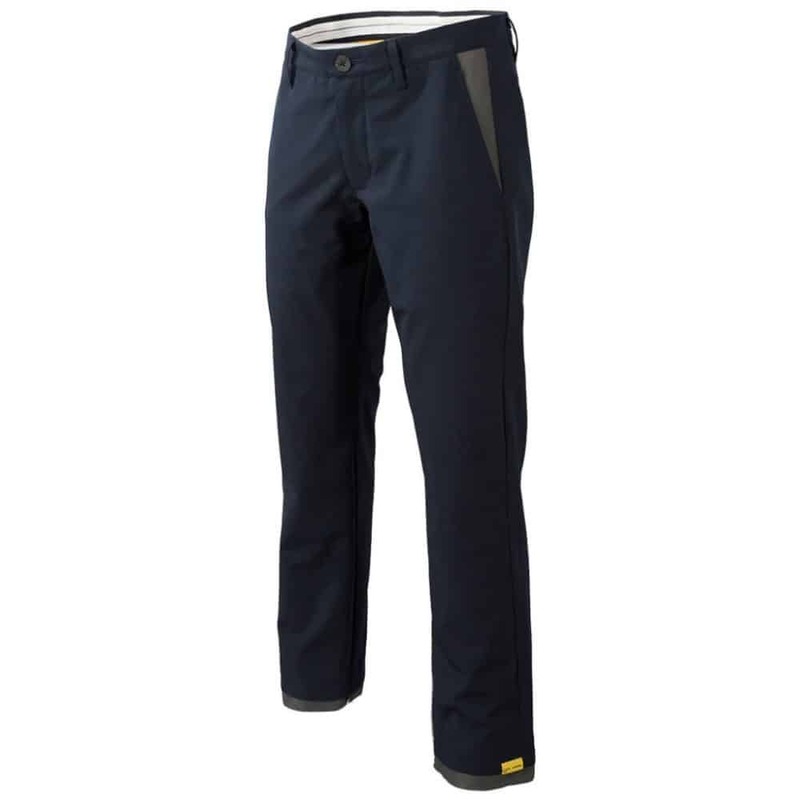 2UNDR’s casual first layer performance Long John features the patented Joey Pouch™ to give the same 2UNDR fit and feel while preventing unwanted skin contact. 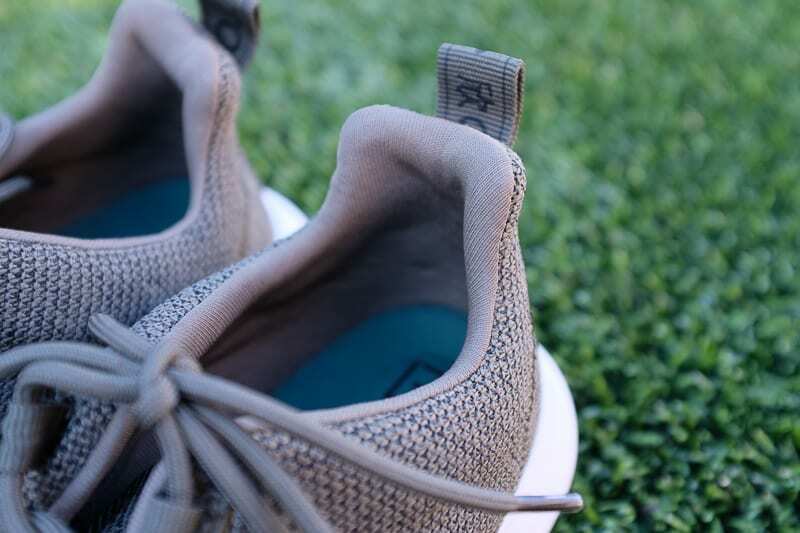 The 4-way stretch Bamboo – Cotton blend makes them lavishly soft and stretchy. Whether you’re on the ice or in the cabin, keep warm and dry with this comfortable leisurewear. 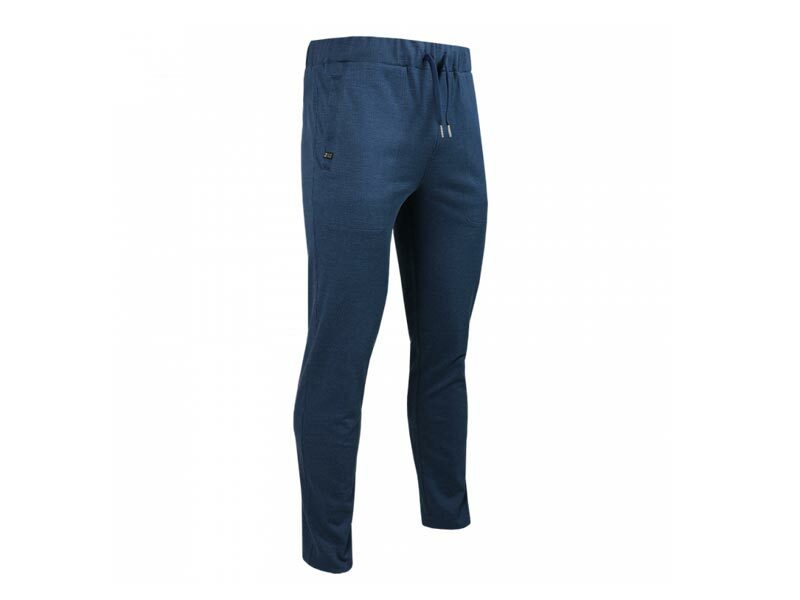 In addition to the comfy long johns, they have embarked into leisure pants and athletic fit pullovers. As fitness apparel becomes more people’s choice for day to day wear, we indeed are jacked up that one of our favorite brands decided to join the party. Labeled as loungewear, you’ll find the tailored fit and finish something that you can wear for plenty of activities that don’t involve the couch. Check out our review of 2UNDR’s revolutionary “joey pouch.” And read what we thought of the undergarment that’s making big waves in the apparel space. 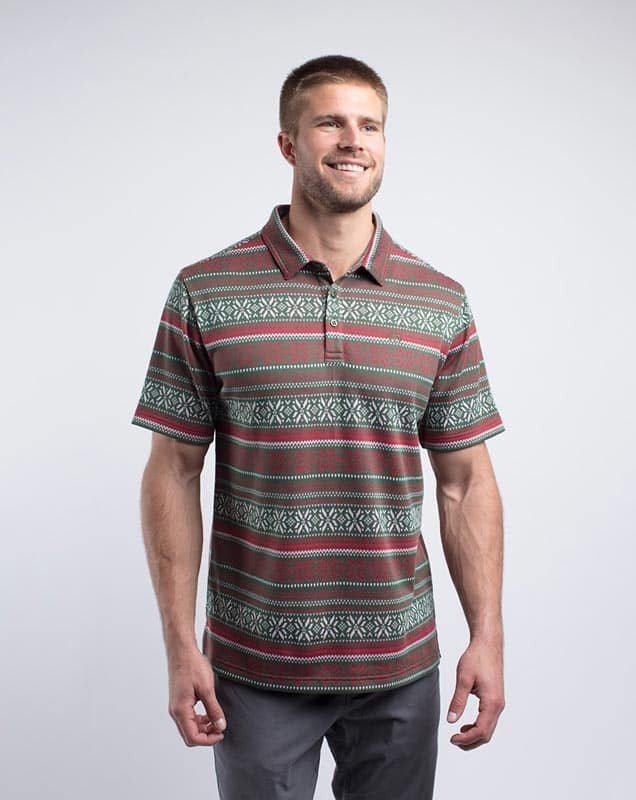 This holiday they add even more looks of your favorite collegiate teams and many wild new patterns. 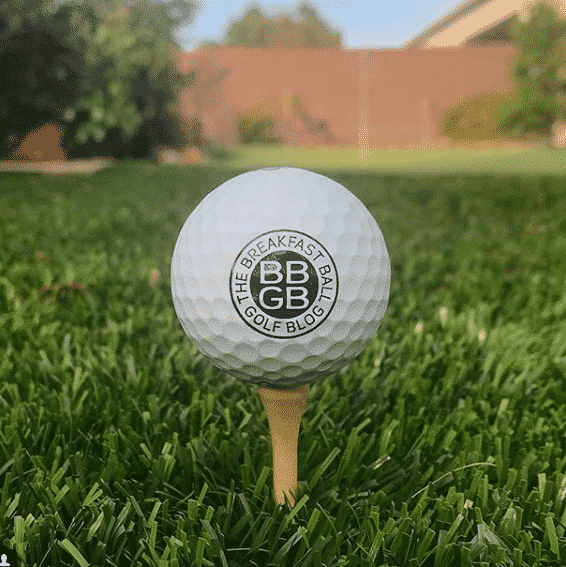 Enjoy 20% off your purchase when using code BKBGOLF20! Click HERE to head on over to the 2UNDER website. 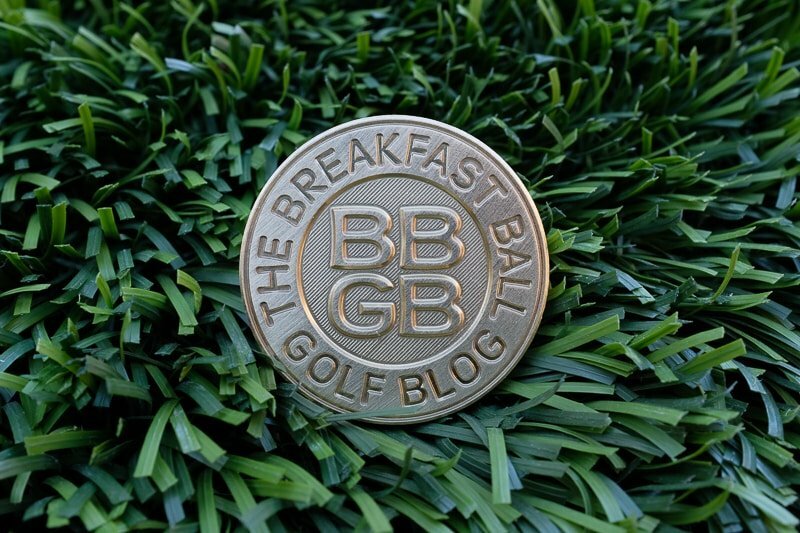 Premium golf balls at an affordable price? Who doesn’t want that? Nobody we know. 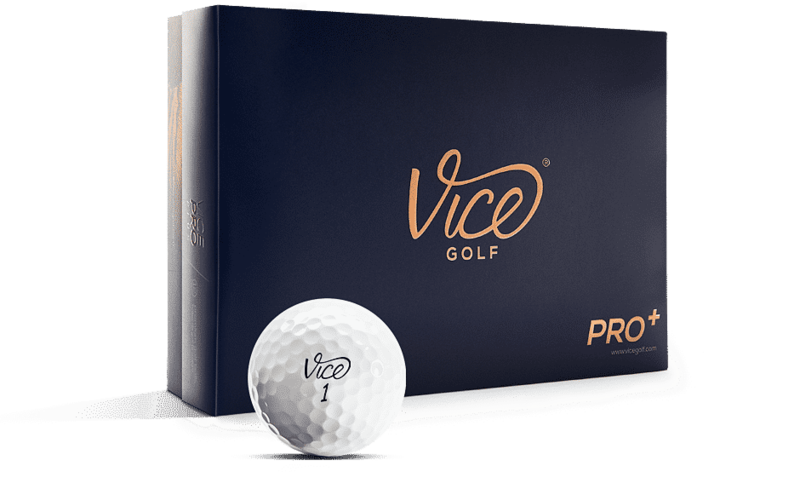 VICE Golf Balls continue to expand their growing popularity with their mail order only service. 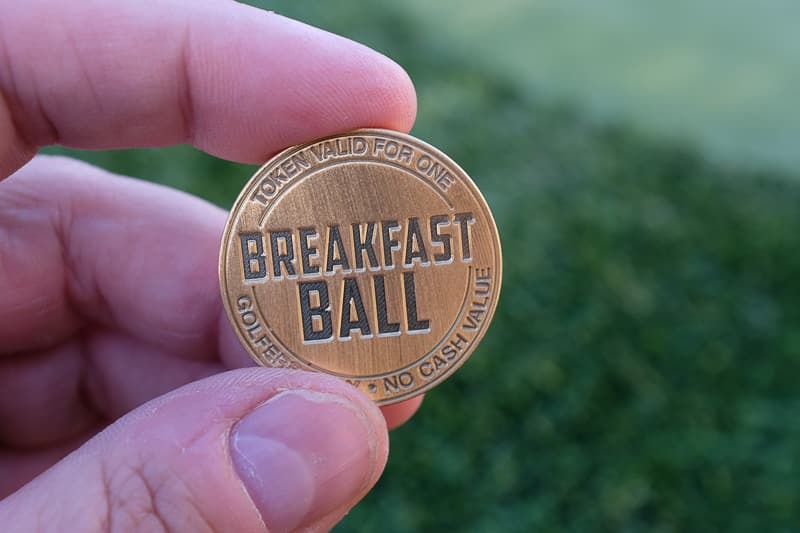 We believe it’s an excellent golf ball option. 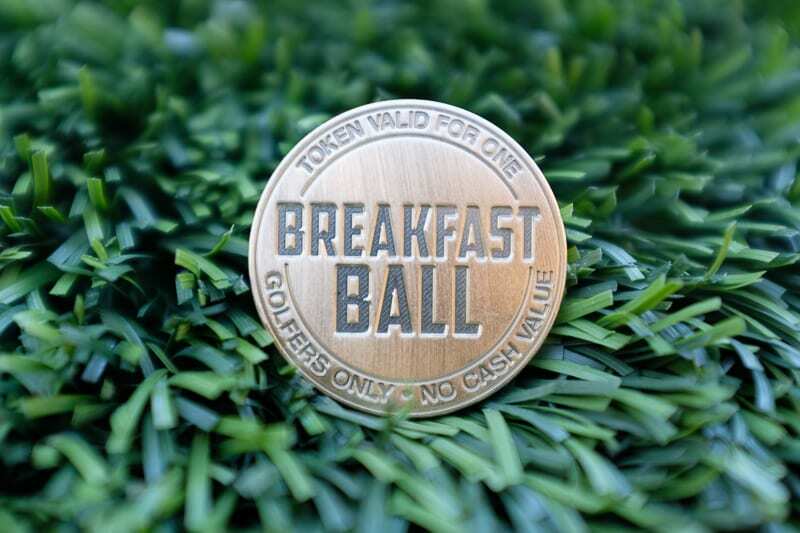 With five options to choose from, there’s a golf ball for nearly every player. 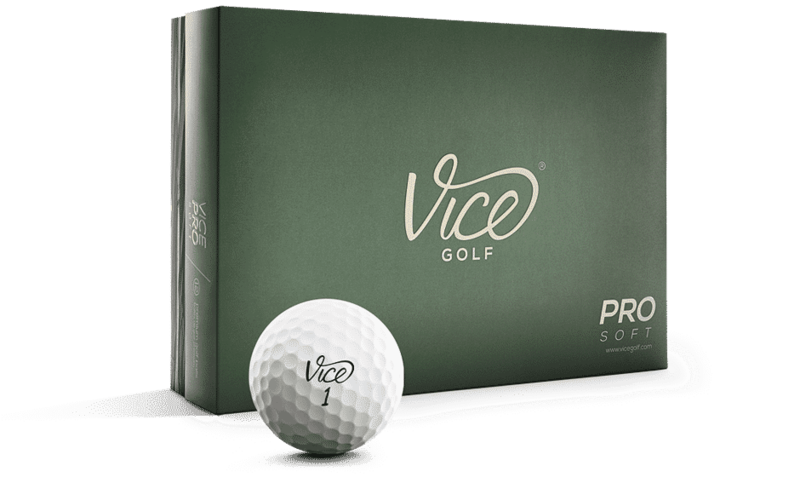 And, with a golf ball selector tool on the VICE Website, it’s a simple task to figure out which golf ball is right for you. I chose the Pro Soft and was quite surprised by the performance. Plus, there is an option to get personal with your purchase. Like we did when we decided to have our new logo put on a few boxes. 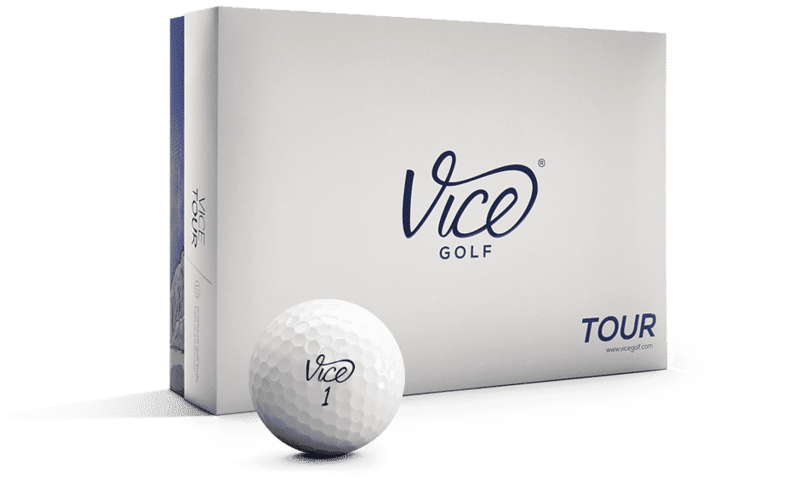 VICE is an excellent choice as a gift for your favorite golfer. 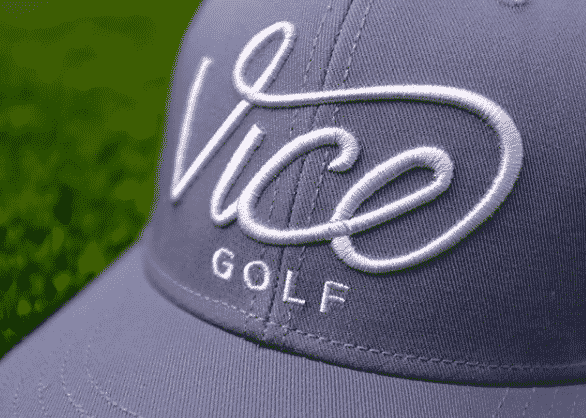 With VICE Golf the more you buy, the cheaper they get. The Pro Soft starts at $34.95 a dozen but drops to $24.95 a dozen if you buy five boxes. That is a fantastic price for a great golf ball. I’ve been hammered with requests to “hook it up” for my buddies ever since I introduced the work of Travis Sessler back in April. 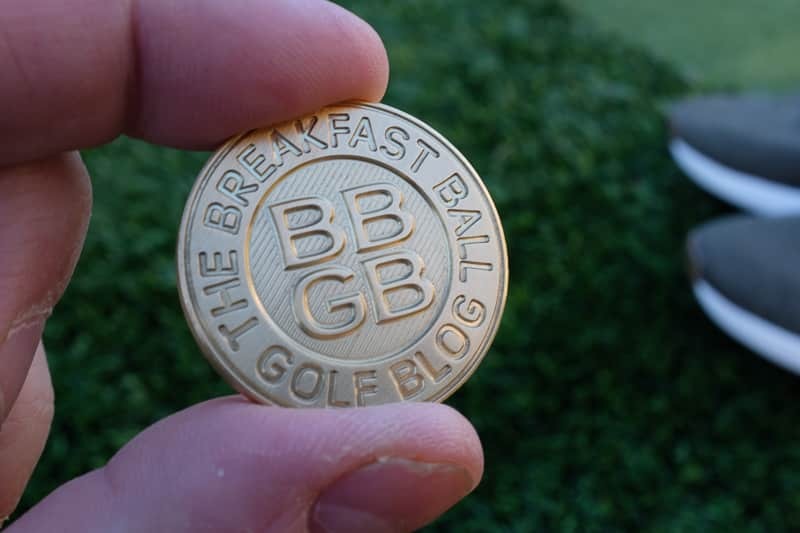 Yeah, sometimes being a blogger for a golf site has its disadvantages. But, it let me know that my initial thoughts of the work he’s turning out with his 310.USA company was spot on; the products are just sick. Aside from myself being hassled for the 310 goods, Travis has been equally busy. 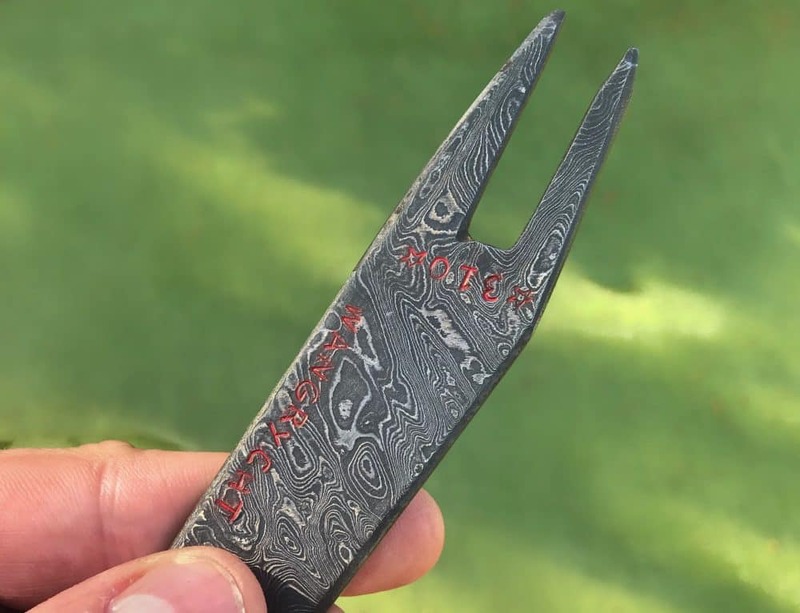 Word has gotten out about his divot tools and ball markers. It is a great thing not only for him but all of you as well. As the sales keep coming in Travis is continuing to add new products to his already impressive collection. 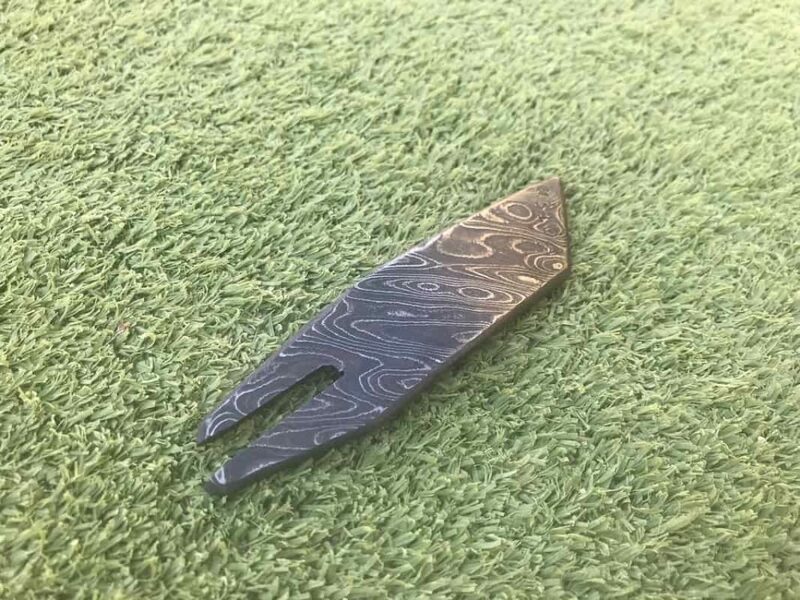 Visit the 310.USA page on Instagram and you can see exactly why Travis and his 310.USA brand is making some waves in the pocket change arena. 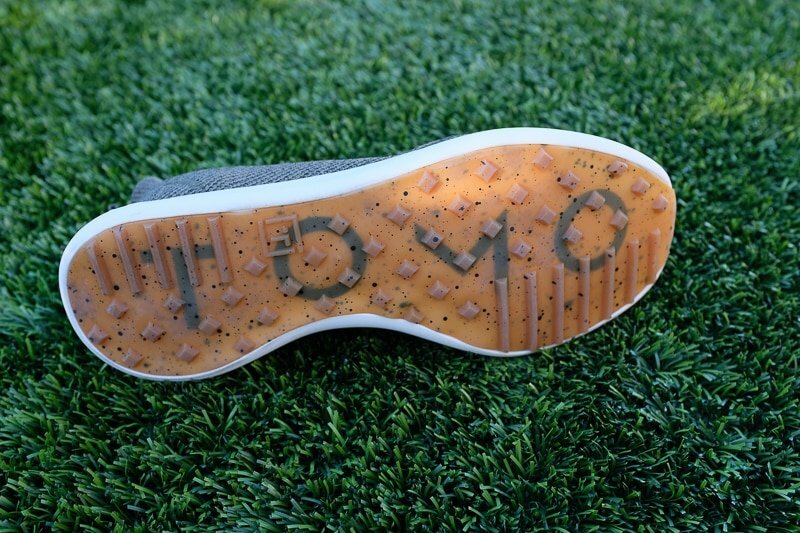 I’m eager to get my review completed of the TOMO golf shoe. But, I didn’t want to pass up this opportunity to share this brand with everyone considering it’s an excellent gift for the holidays. 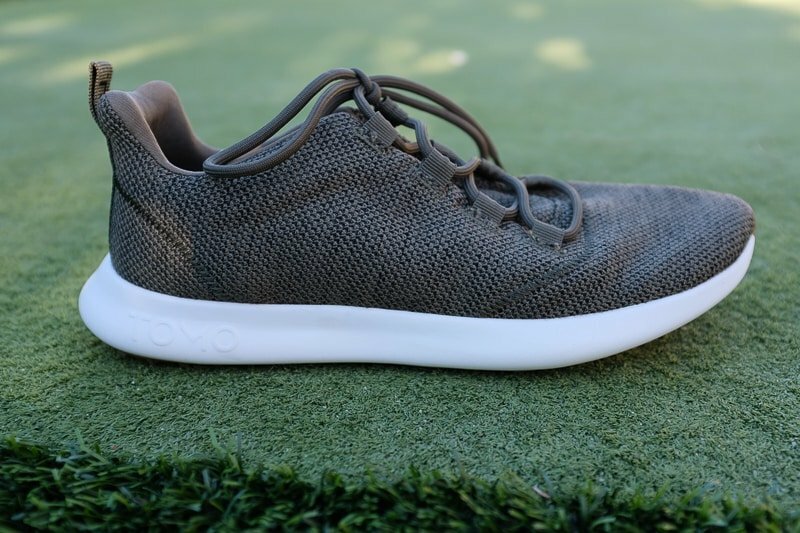 The TOMO Volume 1 is a lightweight, breathable golf shoe. 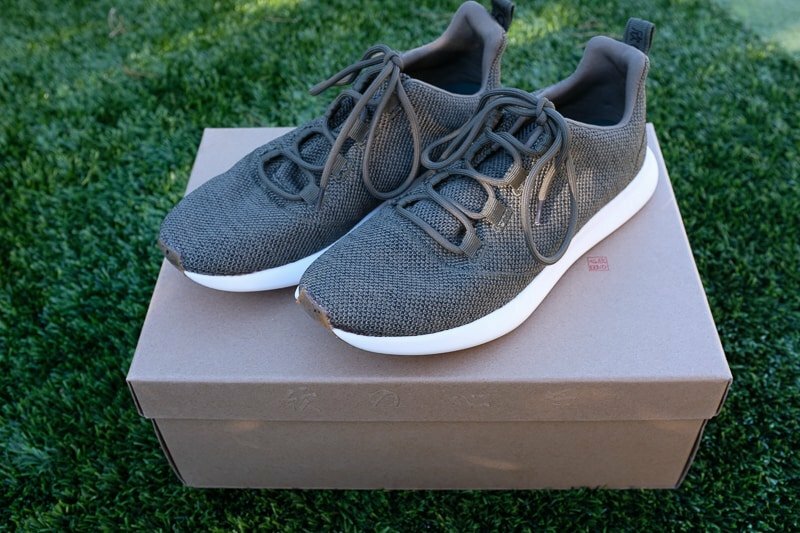 And it has some style to go along with the AMAZING comfort. These are the equivalent of walking on pillows. I’ve been wearing my frequently and not just to golf in; they are that comfortable. As the colder weather is upon us in most of the states, sorry but I’m not sorry shorts are still a possibility here in Southern Nevada, they might not get much use until springtime hits. That’s no reason to skip out on a great gift this holiday season. At $89 the TOMO Volume 1 is an excellent choice in my opinion. We think these as a gift would impress the hell out of the person who receives them. 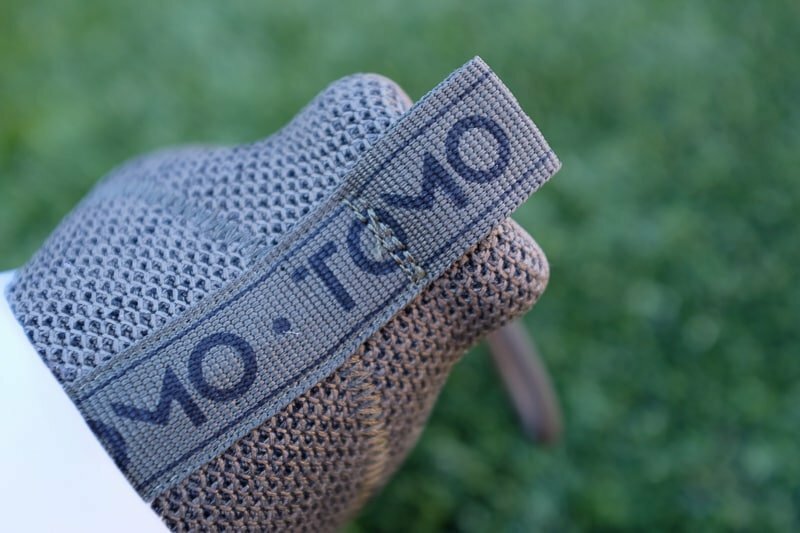 Visit the TOMO website and grab a pair, you’ll look like a gift-giving legend! 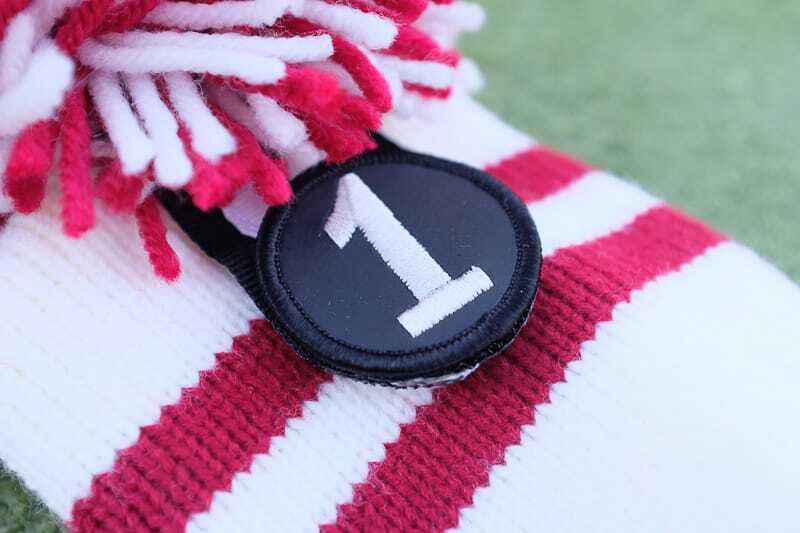 That wraps up this edition of our now annual gift guide for the golfers. We have some great reviews in the works right now as well. We’ll have a few of those in December and then kick off 2019 with some exciting news as well! Thanks for checking out this year’s gift guide, and good luck to all you maniacs tempting fate on Black Friday! Great list of holiday presents! I love my Tomo shoes but can’t wear them until my Mesquite trip in January!